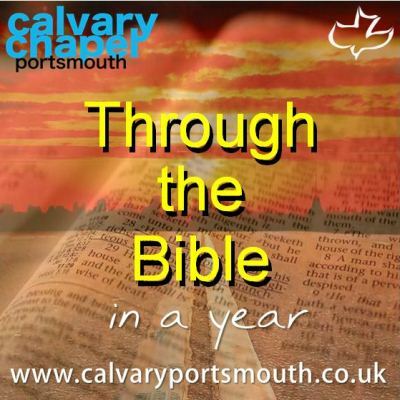 This study, taught by Pastor Barry Forder, is the 39th session of our ‘Through-the-Bible-in-a-Year’ series recorded during 2014 as part of our Sunday morning family services. The church at Corinth was one of 7 churches that Paul writes to in the New Testament, and was founded and established by Paul, who we are told in the book of Acts, spent 18 months with this fledgling yet growing congregation of believers. However, even with this personal nurturing from Paul, there were a number of problems that crept into this church, problems that Paul addresses in his letters to them. Much of the cause of these problems is attributed to the immoral and materialistic culture of Corinth, which even in the pagan world was known for its moral corruption, with over 1000 prostitutes connected with the temple of Aphrodite. The strategically important location of Corinth made it a major trade and commerce centre in the Roman world, sitting as it did on an isthmus – a narrow neck of land between the two major shipping ports (Corinthian Gulf (Port of Lechaeum) and the Sardonic Gulf (Port of Cenchrea)). This ensured the diversity of its population and meant that the congregation of the church at Corinth was as diverse as any we might find today. The importance of the Resurrection, Chapter 15. 3) A visit after 2 Corinthians had been sent.